Nip Gingivitis in the Bud With a Periodontal Disease Treatment!Your Severe Toothache Could be an Abscess! If you have had Dental Implants, then you are well aware of how life-changing implants can be. The invention of this dental innovation has revolutionized the way that healthcare professionals treat patients who suffer from missing or falling teeth as a result of several chronic dental issues and injuries. At the offices of Dr. Andres de Cardenas, our team offers dental implant solutions that leave you feeling like you have never lost any of your permanent teeth. The following guide will explain how you can properly care and maintain your new dental implants to ensure that your dental implants remain healthy and strong for years to come! 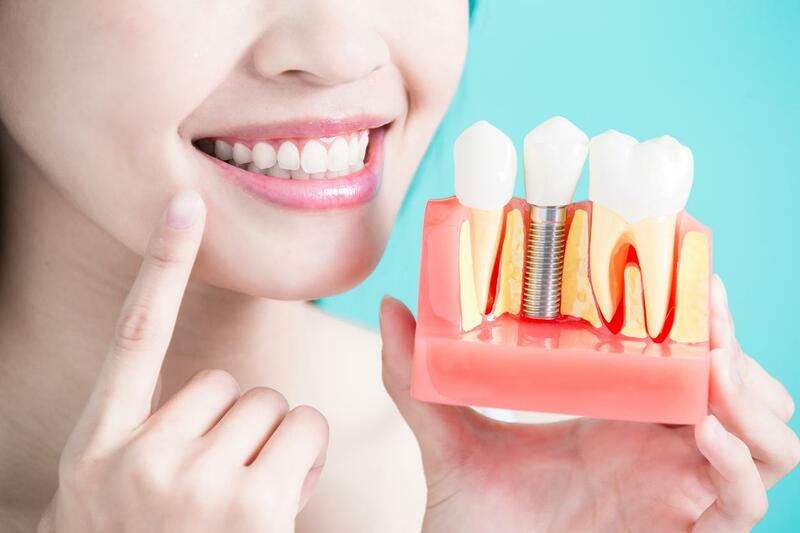 For those who are unfamiliar with the process, Dental Implants are artificial tooth roots that serve as a tooth replacement by providing a permanent base in which new teeth can be introduced. Unlike dentures that come in several different forms and can be easily removed, Dental Implants are designed to be a more permanent solution. Aside from providing false teeth, implants go one step further and replace the roots of the teeth themselves. Younger patients tend to gravitate towards this option because it also encourages jaw stimulation that can be a great asset in preventing any bone deterioration that may occur in the future. While our professionals at the offices of Dr. Andres de Cardenas are so skilled they can make your Dental Implants feel like your very own teeth, it is important to remember that they are composed of a different structure, so they require special care. Whereas regular brushing and flossing may have been enough in caring for your natural teeth, implants often call for a few extra steps. As mentioned above, Dental Implants are attached to the surrounding gums and bone, but in a very different way than natural teeth are. Therefore, the way you clean around them will differ from the typical way you are accustomed to brushing your natural teeth. Keep in mind that since the material of your implants differs from your natural teeth, plaque will build on them just the same. When you come in for a dental implant procedure with Dr. Andres de Cardenas, you will be guided based on your situation. There are times when specific instruments will either be provided to patients or recommended to purchase in order to minimize the risk of infection and protect implants from being damaged. The goal is to ensure that your gums, as well as the connectors attached to your implants, remain strong. If you notice any discoloration or irritation of the surrounding gum and tissues, you should contact your dentist immediately. Routine visits are mandatory to have implant maintenance performed. Attending your follow-up appointments will further assist in overseeing that you are taking proper care of your implants. Following these simple steps is just the beginning. Teaming up with Dr. Andres de Cardenas dental team of professionals will make sure your Dental Implants last a lifetime! 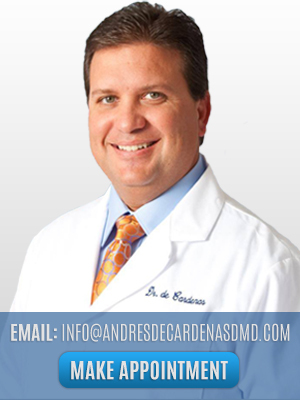 Visit the physician that has been named one of the best dentists in South Florida and schedule your appointment with Dr. Andres de Cardenas today! Give us a call at (305) 251-3334 or click here now for more information.